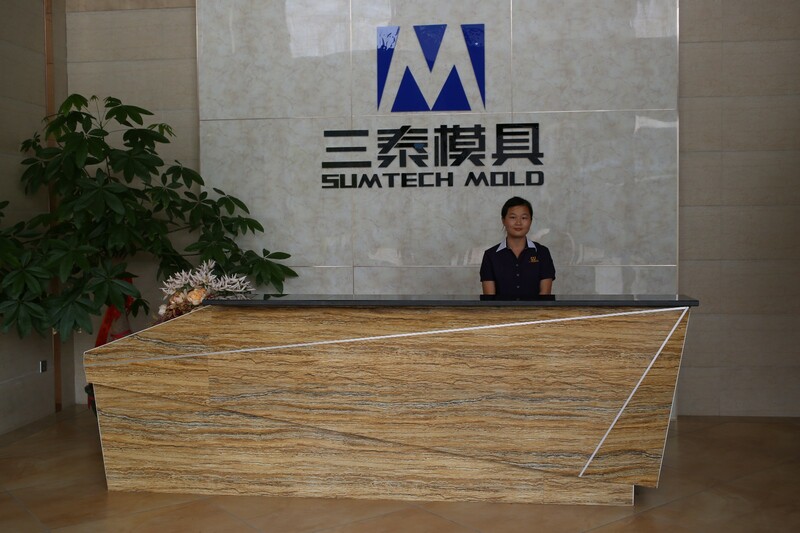 ﻿ Home Appliance Mould Factory, Company, Manufacturers - Sumtech Mold Manufacturing Co., Ltd.
As a mold and plastic molding solution provider, Sumtech focuses on mold design, development, manufacture and the precision plastic part molding. Established in 1997, Sumtech insists on the best injection mold, by continuously bringing in talents, advanced technologies, production equipments and testing devices. By now, there are more than 100 technicians in the team. Using CAD/CAM/CAE system, CNC machining center, mirror EDM, LS-WEDM, HS-CNC, MS-WEDM, double-color injection machine, manipulator, melt flow rate tester, hardness tester, digital tensile tester, coordinate measuring machine, we are able to deliver high quality mold or plastic molding part in shorter lead time. Sumtech engineer is proficient in DME, HASCO, MUSUMI, PROGRESSIVE, STRACK, MEUSBURGER, AGATHON, CUMSA standard and capable of complex mold design and manufacture, such as large injection mold, precision injection mold, fast mold and double color injection mold. The efficient and reliable mold system is tailored to suit the individual product feature. Adhering to “integrity, perfection, innovation, win-win cooperation” philosophy, Sumtech wins the trust of customers at China, Japan, USA and south east countries. Our mold are widely served in auto-motive, household appliances, consumer electronics, daily necessities, medical equipment and other industries. Looking to the future, Sumtech will continuously strengthen innovation to develop business with existing and new customers.